Cyber attacks have become prominent all over the world and for now, there seems no possible end to it. In fact, as technology advances, the number of attacks and their variety will only increase. Unfortunately, either we ignore the need of a good antivirus for our gadgets or we are unable to decide, which is the best antivirus. These factors, combined with the cost incurred to buy an antivirus, delays our decision to install one on our system. Why Pay When You Can Get It For Free? Having established the need for an antivirus, we also understand that most of them come with a price tag attached to it. Today, most of us have multiple gadgets and to buy an antivirus can cause quite a dent in the pocket. Not to forget, this cost will be incurred again everytime you renew the subscription. But who says that we necessarily have to purchase antivirus software everytime? Did you know some of the best antivirus software have free versions as well? Surprising! Isn’t it? That’s why we’ve compiled a detailed list of the top 10 free antivirus that are available today. However, before we move ahead, let’s have a look at the advantages and disadvantages of using free antivirus. Scan Options: It offers three types of scan options, Quick, Full and Custom. It also allows the user schedule scan according as per their convenience. Regularly Updated Definitions: This is one of the best features that the software has to offer. It regularly releases updates of their virus and spyware definitions, thereby protecting the system from even the latest threats. Real-Time Protection: The system is protected from any type of malicious threats in real-time. Default Action: Allows the user to choose the type of action to be taken by the software depending on the type of risk that the threat poses to the system. Exclusion: The user can exclude files, folders, processes and locations from being scanned for any viruses or spyware. Our View: There are many reasons why this software is our favorite, to start with it is very easy to download and install. It is light on the system. This free antivirus can be used by someone who does not have much technical knowledge. The best part of this robust software is that it regularly releases updates and has no irritating advertisements or popups. *Note: Windows 8 and 10 users can also continue using their bundled Windows Defender Antivirus since it’s the rebranded variant of MSE for all Windows systems post Windows 7. Smart Scan – On installing the software, it offers to run a Smart Scan, which scans the system for weak passwords, virus, vulnerable software, browser add-ons, network threats and performance issues. Wi-Fi Inspector – Scans the network for vulnerabilities and security threats. Software Updater – Outdated software are vulnerable to malware attacks. This ensures that the all the software are updated. Core Shields – This further includes, File Shield, Behavior Shield, Web Shield and Mail Shield. It ensures that any file opened or added is scanned, suspicious activity of any app is notified, web attacks, unsafe downloads and suspicious email attachments are blocked. Virus Chest – Scans selected files and locks away the detected threats for further action. This amazing free software is available for Windows 10, 8.1, 8, 7, Vista and XP. It is also available for Mac and Android as well. Adding cherry to the cake, you can try out the paid version of their best selling software on 30-day trial period as well. Our View: As a free antivirus software, Avast offers much more than what is usually expected and we can’t really complain about the features that are for purchase. Using the software, we found that it is simple to use. We are absolutely in love with this free antivirus. If you are looking for a trusted software, loaded with features, then this surely is a great option. However, the catch is that PC TuneUp can be availed for free only for 30 days. File Shield – The software scans all files that are added or opened on your system. Web Shield – Protects the system against web attacks and downloads that are unsafe. Email Shield – Blocks email attachments that are suspicious. You can also try AVG Secure VPN, which includes, private surfing, secured Wi-Fi and disuising location to enable accessing websites around the world on 60 days trial period. AVG AntiVirus Free software also offers File Shredder feature that permanently deletes files and folders that you want to get rid of. It is functional with Windows 10,8, 7, Vista, XP SP3. It is also available for OSX 10.8 Mountain Lion or above and on Android 2.2 or above. Our View: Undoubtedly one of our favorite choices amongst free antivirus for Windows, AVG, offers quality security features for free. We especially loved how easy it was to install and use it. It is a great choice, if you are looking for a trusted and easy to use free antivirus for Windows. But unlike Avast, it does not include free Game Mode and Password Manager. 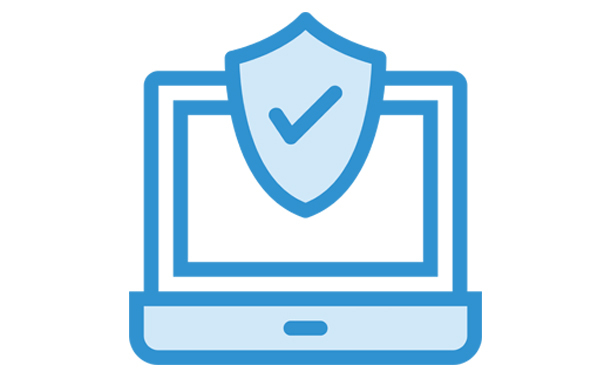 Real- Time Protection – It scans all the files for malware and any other external threats. Firewall – Safeguards against Internet or network access not authorized by user. Scan – It offers 4 types of scans, Full scan, Quick scan, Custom scan and Scheduler (wherein use can schedule their system scan). Software Updater: Updates software that are outdated thereby protecting Windows system from newer threats. System Speedup: Enhances PC performance by getting rid of junk files and fixing processes that are faulty. The 2018 free version is definitely worth giving a shot for all the features that it offers. Also Read: How to Ensure Your Antivirus Gives You The Best Protection? On starting the app you can either drag and drop the file or folder that you want scanned, or run a full system scan. If you are into gaming or your desktop activities are resource-intensive, or you are often required to edit images and videos then this is one of the best free antivirus to download for your PC. It might not have a laundry list of features, unlike most popular antivirus software. Nevertheless, its power lies in its efficiency, as this free antivirus software for Windows will quietly keep running in background without interrupting or slowing down any activity on your computer. It is compatible with all Windows OS, i.e. 10, 8.1, 8 and 7. It is also available for macOS and Android. We certainly loved the snazzy looking yet very simple to use interface of Bitdefender Antivirus Free Edition. Our View: A great choice for gamers or those who have resource heavy work on their system, Bitdefender Antivirus Free Edition is extremely easy to install and simple to use. We are floored by its unobtrusive style of functioning. It may not have the extra features that other free antivirus software offer, however this makes it stand apart from the rest. Basic and minimalistic yet effective! Users can also schedule automatic scans (Full or Quick Scan). It also updates malware databases time to time, making your system resistant to attacks. Our View: Being frill free and lightweight it will protect your Windows system from external threats. If you are looking for a simple software with basic functions then this is for you. It works for all Windows OS, i.e. 10, 8.1, 8, Vista and XP. Our View: What makes it stand apart from the rest is that fact that it is very light on your system and has been designed keeping in mind the current technological needs. The software offers a one month trial of its Protection Advanced version, which includes features like ransomware and parental control. If you want you can give it a shot as well. Real – Time Antivirus – Safeguards against virus, malware, Trojans, worms, bots, PUA’s, ransomware etc. It is compatible with Windows 10, Windows 8/8.1, Windows 7 and Windows Vista and also Mac OS. Our View: Sophos Home comes with some very amazing features that are usually offered in the paid version. This free antivirus is definitely worth a try! Updates Automatically: The antivirus will update itself at regular time intervals. Runs scans on scheduled time intervals: Offers three types of scans, Quick, Full and Full scan with Archive Files. Quick and Fulls scans can be scheduled as per the convenience of the user. Application Control : Keeps a tab and blocks suspicious Internet transmissions. Online Backup (5GB storage) – Backs up user data to a remote site which is secure. This free antivirus offers Scan Options and Scan Targets to further customize the scan. User can exclude files, folders and drives from scan. It also has Behavioral Scan Options that helps look for and identify malware that has not been scanned by anti-virus databases. Bonus for gamers! ZoneAlarm Free Antivirus + Firewall offers Game Mode and can be found under Tools. Our View: We found ZoneAlarm Free Antivirus + Firewall very simple and easy to use. One can easily maneuver around it and avail all the features as soon as you install it. The biggest takeaways of the software are the firewall and game mode. Virus Scan: Scans all files to pick out the suspicious ones for further analysis. Speedup: Helps boost up system performance and time to start it up. Disables background apps that are unnecessary background apps. Cleanup: Clears up all the junk on the system therefore creating space and boosting the performance of the Windows system. Tool Box: Tool box has a plethora of tools to improve your system performance and make it more secure! It has some awesome tools like, Sandbox, Registry Cleaner, Game Booster etc. Our View: We love how feature rich this free antivirus software is. While it may take some time to figure out about all the features. Power packed with features like Registry Cleaner and System Backup Cleaner definitely makes it worth giving it a shot! Although, the top 3 free antivirus software are our favorite picks in this list, we however are convinced that all the 10 are great choices for any Windows system. Each of these antivirus software has features that would address the specific needs of users.